Guiderail replacement takes place on Route 52 in Kent between the Kent Schools Complex and Ludingtonville Road. 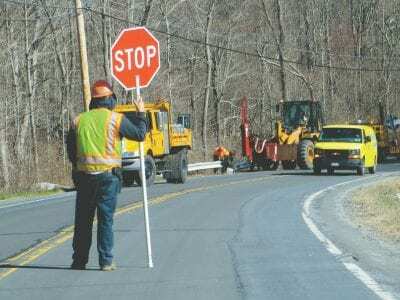 New York State DOT crews are out in force this week repairing sections of guiderail damaged from crashes as well as from snow plows slammi… Please login below or purchase a subscription to the Putnam County Courier to access this content. Mortgage tax receipts have made a rebound across the county. The Putnam Legislature learned the encouraging news last week when the county’s semi-annual mortgage tax report was issued to members of the Audit and Administration Committee—… Please login below or purchase a subscription to the Putnam County Courier to access this content. Last Friday evening a school meeting was held in the school house for the purpose of preparing for the eviction of the present school property. Dr. H. F. Miller was appointed moderator. Matters were discussed at length and on motion of Truste… Please login below or purchase a subscription to the Putnam County Courier to access this content. 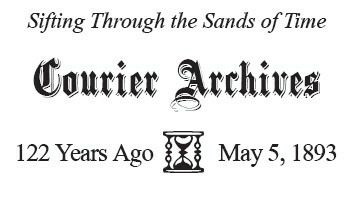 Refluent flowing back … Please login below or purchase a subscription to the Putnam County Courier to access this content. Last weekend marked the third anniversary of one of Putnam County’s most tragic fires—a blaze that claimed the lives of four members of a Carmel family. Flames engulfed the Thomas Sullivan residence on Wyndham Lane within minutes and whe… Please login below or purchase a subscription to the Putnam County Courier to access this content. Whipped cream should be used to top off an ice cream sundae or a delicious piece of cake not to get ‘high’ on inhaling the nitrous oxide found within a whipped cream container. Putnam’s Communities that Care Coalition received word… Please login below or purchase a subscription to the Putnam County Courier to access this content. A North Highlands man underwent emergency heart surgery early Sunday after being stabbed by his neighbor over a dispute relating to noise coming from inside an apartment building where the two men resided. The Putnam 9-1-1 Center in Carmel received … Please login below or purchase a subscription to the Putnam County Courier to access this content. Emergency responders assist an elderly woman injured last week in a single car crash in her front yard. An elderly Carmel woman who became confused behind the wheel and apparently slammed on the gas pedal instead of the brake crashed her vehicle into… Please login below or purchase a subscription to the Putnam County Courier to access this content. Four local residents are now facing incarceration for allegedly violating the terms and conditions of their court ordered probation. 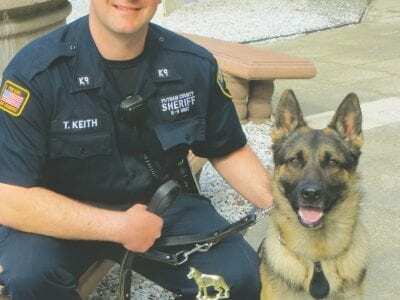 Probation Director Gene Funicelli last Friday reported the arrests of Craig Alfonso of Brewster, Edward Campbell of … Please login below or purchase a subscription to the Putnam County Courier to access this content.